It's 537am and I can hear the kid moving around downstairs. For someone who recently announced she knows Santa is not real, she's up awfully early. I'm up because my bladder can't tell time. I hope you all have a lovely Christmas break and Santa is good to you. What my kid doesn't realize is Santa is real. He lives in the heart of anyone who sees this as a special time year where family is ALWAYS first. Turns out, I *was* told about this story. I just didn't do anything with it. Because ice storm. 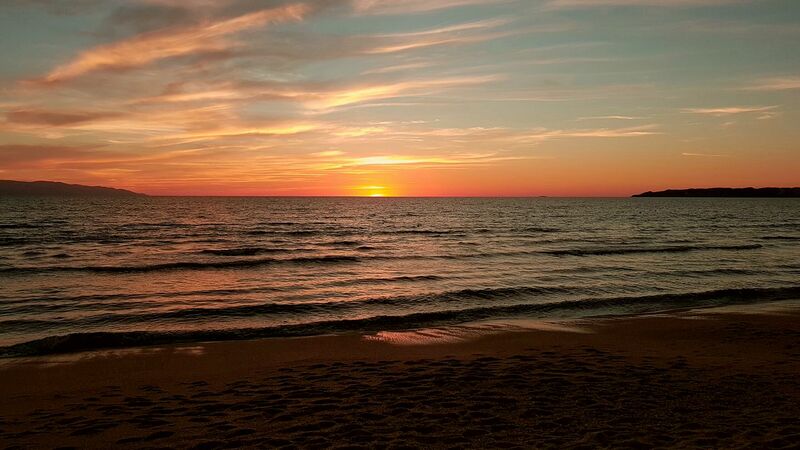 Friday night, I boarded a Lakeshore East train at 10:43pm. Mid-way between Ajax and Whitby (at around 11:30pm), the train hit some piece of metal on the track, damaging the brake line and the fuel tank. (No-one hurt) Clearly, the train could go nowhere, and we needed to be decanted onto some other form of transport. The loco has to be turned off, so no heat, and emergency lights only. The 112 passengers on board got moved to the accessibility car (which therefore stayed warm enough from all the body heat). I was glad it wasn't colder than -5C out. At 3:30am (four hours later!!!! ), another train pulls in beside, we transfer over, get taken back to Ajax, and put on a bus to Whitby. From there I cabbed home and ended up in bed at 4:52am, five hours late. Not Good. There were two main problems with how events transpired. The first was how long it took for the second train to arrive. There was another train half an hour behind us, which got terminated at Ajax. Its passengers were put on buses - we saw them go past us on the 401. However, that train was not used to come and get us! (I know this because it was sitting at Ajax when we got there). I suspect the reason is because at that point, the plan was to bring buses to the side of the 401 (which was closed for the fire trucks, called as a just-in-case because of the fuel tank). So, that train terminates and its train crew go home from Ajax instead of Oshawa. (Instead, the train that picked us up had to come from the yard at Mimico). Going by what the on-board staff were saying, the plan to use buses fell through because that would involve passengers crossing a track, which someone thought should be a no-no. To me, this seemed extremely weird - the last westbound train had gone by, and plus you can use the signals to make sure no train comes along when people are crossing. The on-board staff hinted that the control centre lacked someone sufficiently senior enough to make quick decisions, and that the plans had changed multiple times. The second problem was that two of the passengers were obnoxiously venting at the on-train staff (who had no control over getting us off the train), to the point it was stressing everyone out, passengers and staff alike. Now, we were in a bad situation, but the remaining 110 of us managed to not be obnoxious to people who were doing all they could, and had minimal power to make things better. Obviously I'll be writing to GO for a refund. However, I'll also be asking them just what went wrong (i.e. why it took four hours for us to get off the train), whether they have any contingency plans to deal with broken trains in any location at any time, and exactly what they will do to make sure it doesn't happen again. Finally, I'd like to say the on-board staff did the best job they could under the circumstances. They weren't getting the information we wanted, but that wasn't their fault. They managed to handle the situation with professionally, despite very trying circumstances. This campaign was released on November 9th, before the damning auditor general's report earlier this month. It must have put a real damper on the expected outcome. Called, "Let's Get Moving", the video spends a lot of time focusing on a transit agency that is the ONLY regional transit agency in the area it services. It continues to boggle my mind why so much marketing money is spent on a rail and bus service that is the only option for customers commuting in from the suburbs. It's like the LCBO. Where the hell else am I going to buy my liquor? My rum, vodka, amaretto, etc...? 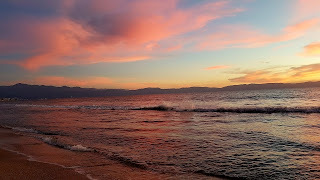 Anyway, I've lost my trail of thought here. 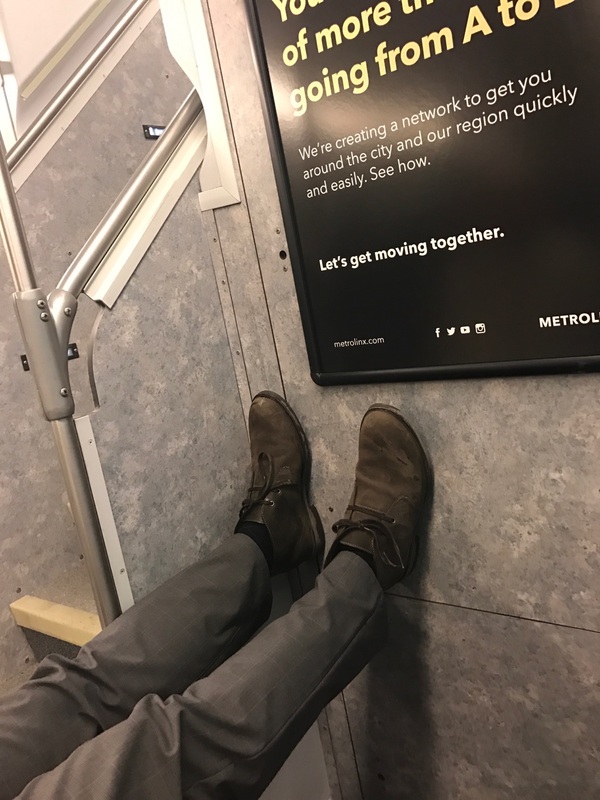 The ad is "a typical day in the life of various Metrolinx services, such as Go Transit and the Union-Pearson Express". Really? 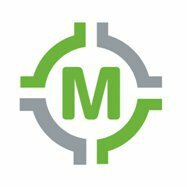 I see a few other transit agencies in this video that receive no oversight from Metrolinx, other than they all use a fare card system wholly-owned by Metrolinx. A flawed system that remains nothing to brag about. The facebook comments show people aren't buying it. 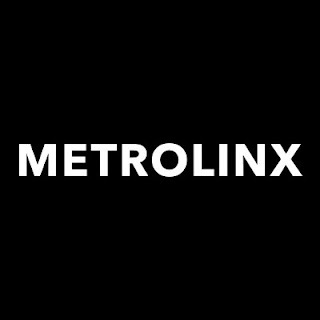 I also noticed that in early December, Metrolinx quietly rebranded itself. The old styled M in a circle with paths connecting to it is slowly being replaced. Metrolinx has opted for a white wordmark on a black background. I like it. Not sure what it means but graphically it's clean and neat. How much did this cost? Nothing. It was done in-house. 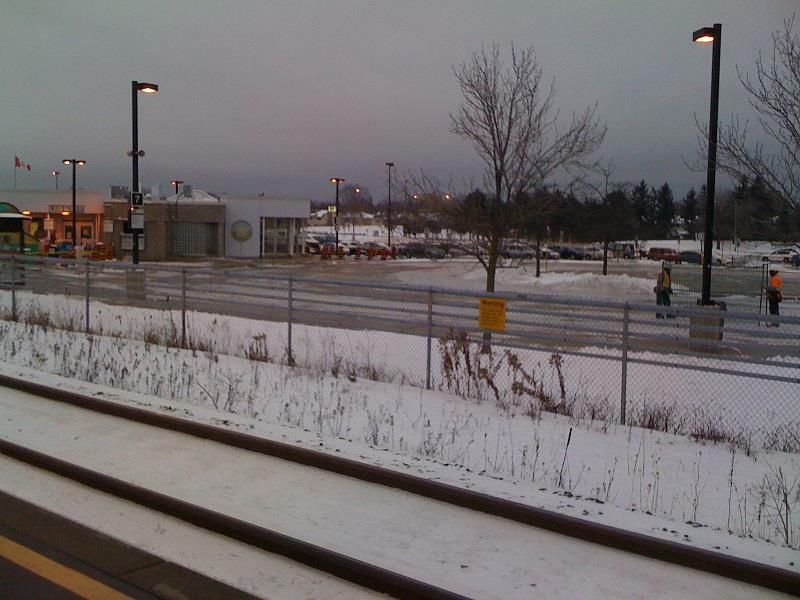 On December 3rd, my Niagara-Burlington correspondent, Chris P. Bacon, wrote up a report about the disaster that is Burlington GO Station. This morning, the Toronto Star released its own report. 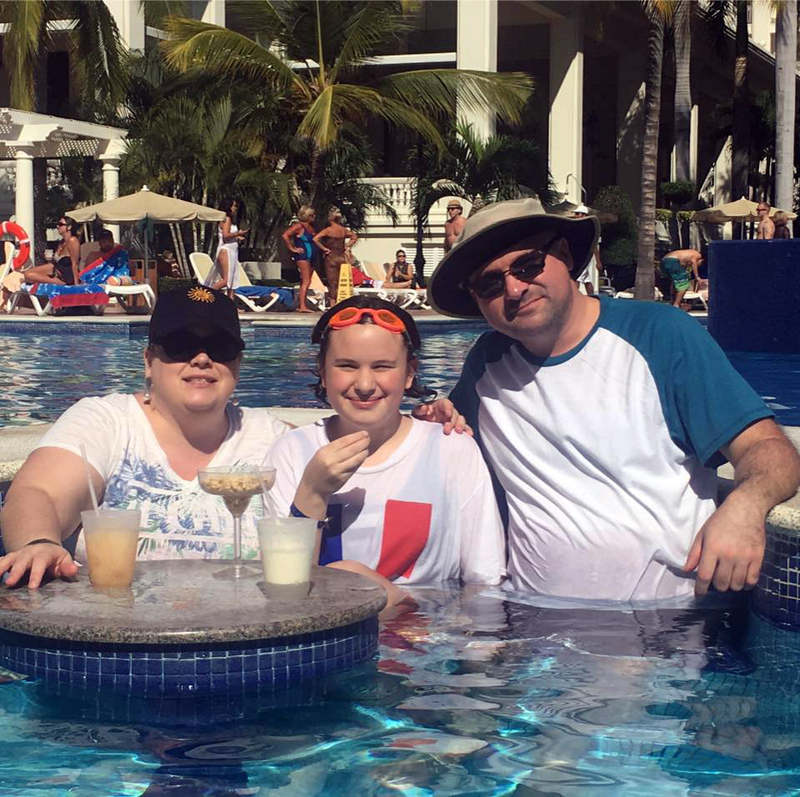 I had forgotten all about Bacon's write-up while still dealing with the fallout of my Mexican vacation (too much food/too much sun/way.too.much.alcohol) and woke up today to a flurry of tweets about the Star article. I feel bad I let Bacon down. NO ONE SHOULD EVER LET BACON DOWN. Let’s take a closer look at GO Transit’s knee-jerk response to TCT’s scrutiny of the fiasco that is Burlington station. This analysis will be rather dry, so if you’d rather switch to Say Yes to the Dress reruns, I won’t be offended. I call RUBBISH! Haphazard updates started in 2013 into 2014 and were subsequently abandoned as Bondfield Construction’s project plan derailed and Metrolinx did nothing but look on like deer caught in the headlights. Is the droning fan there as part of the “temporary heating”? It was chilly inside the building. I attributed the lack of warmth to the fact that no one had fired up the industrial heater outside. 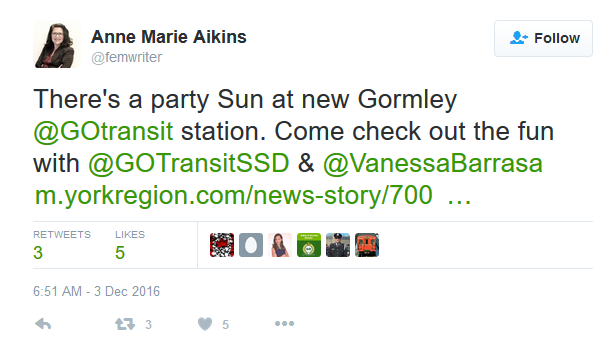 What are you waiting for GO Transit? IT’S DECEMBER! 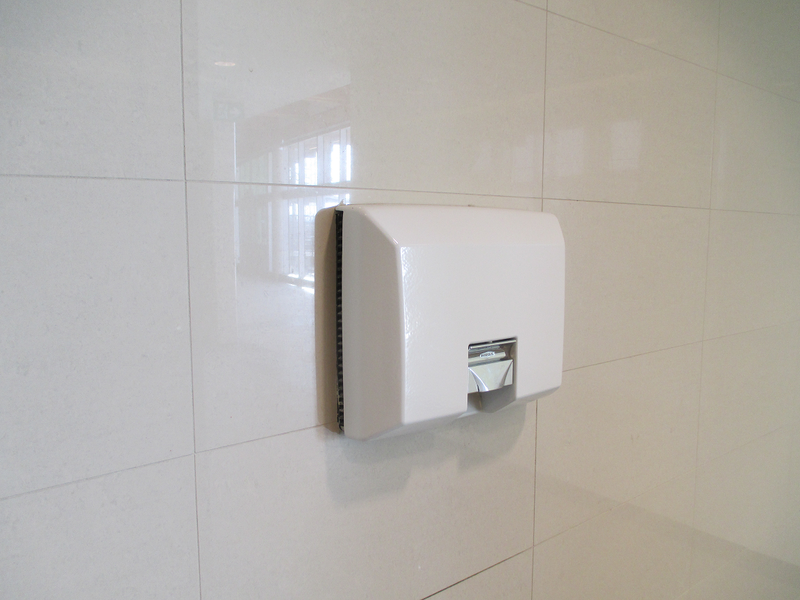 Regarding the men’s washroom, can Metrolinx tell us why only one inefficient hand dryer was installed? Why couldn’t they spring for a couple of Dyson Airblade™ dryers per washroom? What do we use when that one dryer malfunctions? (And it will.) There is no paper towel dispenser. That’s just crazy talk! Accessibility is NOT a priority of Metrolinx. My prior submission to TCT showed there is NO access for WMA passengers between the station building and the West tunnel. 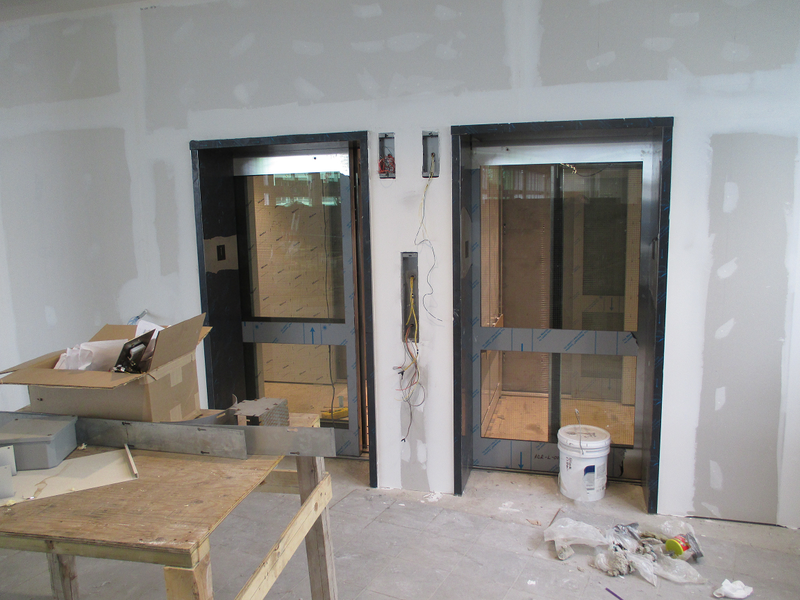 The elevators that should serve that function are nowhere near complete. What is a priority at Burlington station? 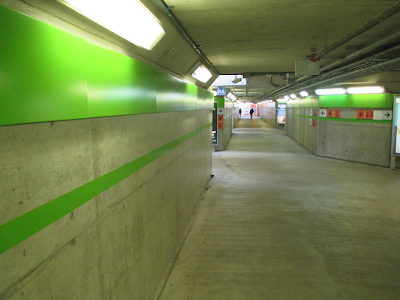 Apparently “Metrolinx green” panels and painted lines in the West tunnel labyrinth. As far as the East tunnel is concerned, the blueprints show two sets of descending stairs, but nothing is labelled as a tunnel at the bottom of the stairs. Let’s hope those stairs align with the old East tunnel, which was situated in that vicinity. Whereas shorter walks from the South side may be possible through the East tunnel, I don’t see that option applying to WMA passengers — it never did. I do hope the water proofing is added quickly, because — once again — there is a bucket on the floor near the men’s washroom. This time the problem appears to be more serious, since the bucket is behind a barricade. Can someone help me understand what type of IT work has dependencies on ticket booth glass panels? Why can’t the work proceed in parallel? And why do GO Transit ticket wickets require glass panels with ill-positioned electronic speakers that garble one’s speech? I don’t recall the last time I interacted with a bank teller who required a pane of glass between us. Why do ticket agents need them? 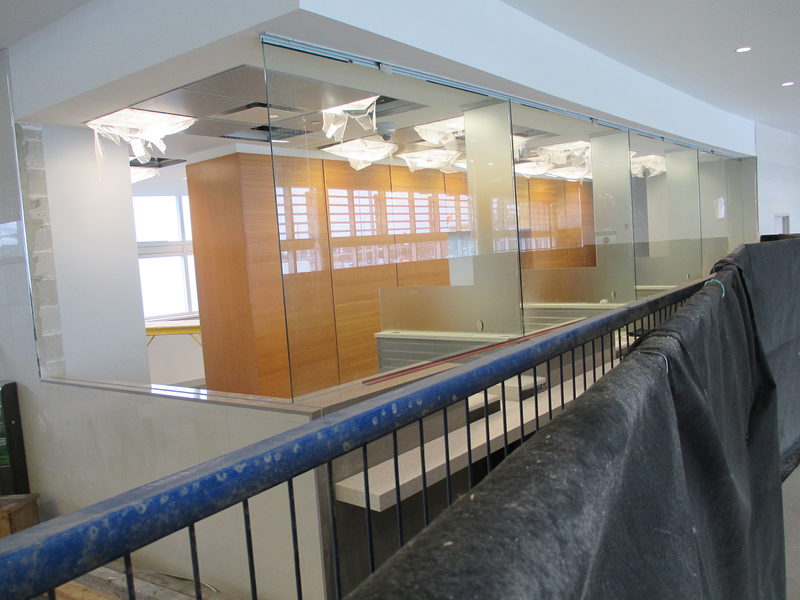 BTW, the glass panels are installed. When will the IT tasks be finished, Metrolinx? Those words are trite and insulting. We’re past being patient. It’s time for heads to roll. Thank goodness for the website transit.toronto.on.ca, because it is a journal of all things pertaining to public transit in the GTA. 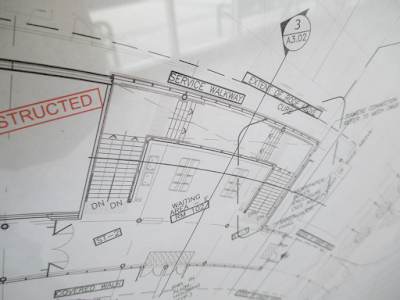 It has a record of GO Transit’s notice of work starting at Burlington station. The project was supposed to last a year (to August 2013). 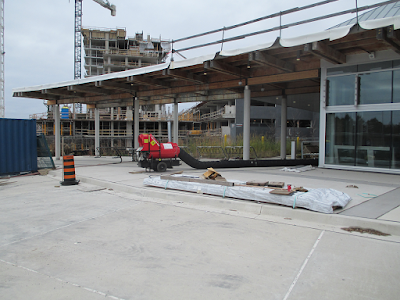 Bondfield Construction echoed that estimate, too, but cited an original completion date of December 2013. The construction notice posted in May 2016 claimed the station would be “fully complete by the end of the year”, but now we’re told construction will continue into 2017. The Metrolinx project map no longer cites a completion date for Burlington. What is the difference between “daily check-ins” and “regular site-visits”? Who will conduct them and submit the progress reports (to whom)? Metrolinx’s media spokesperson lives for this kind of stuff, so you know who I would nominate to fill the role. In regard to GO Transit’s “high standards for customers”, are they the same standards that govern those pristine double-decker buses? Of course, the ONE thing that passengers are dying to know, this e-mail ignored completely. When will the family-run snack kiosk return? We miss them. Thanks for the regular update, GO Transit. When is the next one? EPILOGUE: Construction of Gormley station was announced two years after renovations at Burlington commenced. 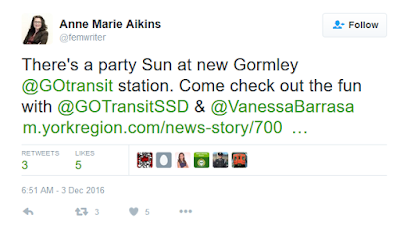 On Sunday, December 4th, 2016, Metrolinx and GO Transit Safety officers hosted a party at the completed Gormley station. Meanwhile Burlington and Niagara Region passengers shivered in the cold. Luna, a two-year-old border collie mix, is alive and well after finding herself on train tracks near Liberty Village as a GO train came barrelling toward her. On Dec. 8, Luna ran away from her dog walker and for nine hours, managed to survive a list of perilous events that eventually lead her back home to her owner’s door step. During her run, the beloved pooch was spotted dodging traffic on the Gardiner Expressway and Lakeshore Boulevard. She ended up on the tracks near Exhibition GO station, in the direct view of a train conductor who applied full brake to avoid the dog. But with the train travelling over 80 kilometres an hour, the vehicle couldn’t slow down in time. ICYMI: Death on the tracks: How bad is Toronto transit’s suicide problem? Suicide by transit is a human tragedy and a pernicious public-health challenge – and Toronto has costly decisions to make about how to prevent it. Oliver Moore takes an in-depth look at the data and what could be done to save lives. The agency also relies also on train crews to keep watch and send back warnings about people near the track. In some of these cases, the next train will get a slow order, or may be stopped temporarily. A decision on whether to do that, though, has to be balanced against the need to keep the transit system running. Isn't it great we have people this considerate to hold up the wall of a GO train in case of mechanical failure? I mean, Christ, what would we do without these people?! So why does it cost so much to ride GO Transit - could it be the fact that the agency gets hosed by CNR? Bruce McCaig's statement (available at http://98zo02bh3v9r369dtffl01cj.wpengine.netdna-cdn.com/wp-content/uploads/2016/11/Metrolinx_AGreport_statement.pdf ) , says, in part: "The Auditor’s report focuses on a small sample out of the many hundreds of projects Metrolinx is currently working on or has completed between 2011 and 2016." Yet the AG report, talking about contractor invoices and project budgets, states: “the [finance] system issues payments regardless of whether the payment is under budget or will exceed the budget”. That affects every single project. GO's Passenger Charter contains the promise "We will make your experience comfortable", along with a performance measure. I made a serendipitous discovery whilst rummaging through my photo dumpster this evening. 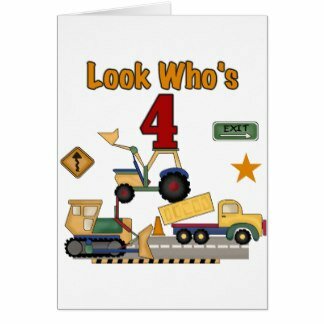 I should have included this snapshot with my submission regarding the 4th anniversary of renovations at GO Burlington. After bidding farewell to our driver, I headed to Track 3 to wait for the LSW eastbound train. From the platform I saw two surveyors in the now closed South bus loop. It was 8:00 AM on a Saturday. Workers were eager to get this project rolling. Such a good start. What went wrong? Ahhh, winter. It's here. It's early. I'm used to Sprinter. You know, the mild Decembers we've gotten used to in the GTA. WHAT THE HELL IS THIS ARCTIC CRAP? I've got boatloads of material to catch you all up on. Tweets (those that follow know/those that don't won't) that contained golden nuggets of info that are blog-worthy. Give me a couple of days to pull it all together. PS. Tequila and I are not friends. WiFi here at the resort is spotty so I'm using this rare opportunity to tell those who don't know yet that Metrolinx decided no fare increase will happen in 2017. 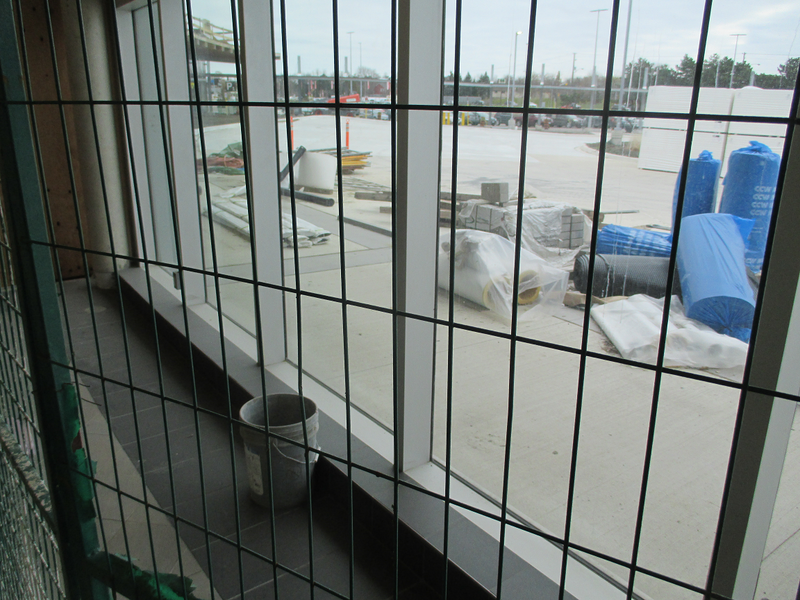 Burlington Customers: As work continues at Burlington GO Station, we are committed to providing you with regular updates on the improvements we're making. Access to west tunnel, west waiting area and washrooms are already open and temporary heating will be installed soon as we continue to finish the in-floor heating system. Increasing accessibility and providing more ways to get around the station are our priority of improvements to deliver to you. Next you'll have the option of using a new elevator and east tunnel, meaning shorter walks from the south side. The roof work is also progressing well as we add water proofing and insulation. The ticket booth is almost ready. We are waiting on glass panels to be manufactured and delivered. Once installed, we can start the IT work required and open the ticket booth in the station building. Pretty much everyone who lives south of Bloor in Courtice (VIA rail line and CN line). Residents hate the blaring of train horns. I'm not sympathetic. This is how I remember the LSE being like before the big push to tear down the houses near Rouge Hill GO and claw back the cliffs to put in a trail. It was the mid 90s and I'd travel to Whitby to visit my boyfriend at the time. I used to marvel how close to the water's edge the tracks were. 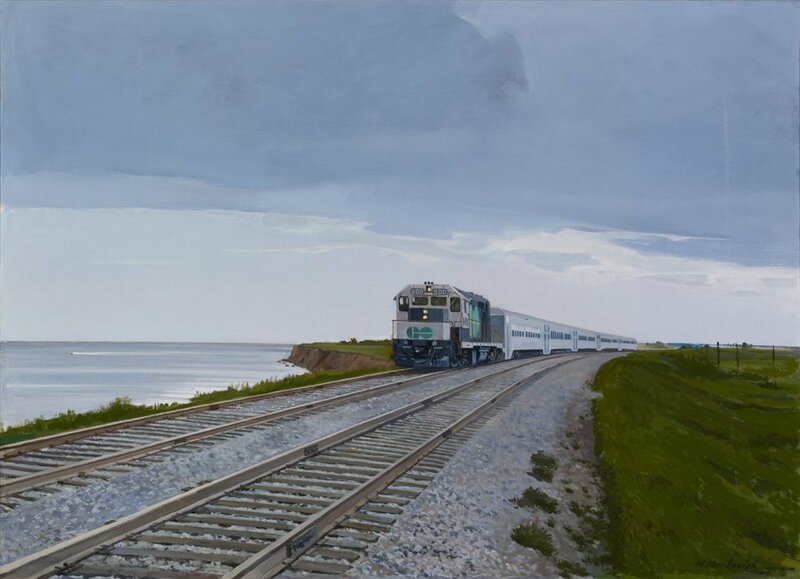 This is a painting, done in 1969 by Ontario Transport artist, Moma Markovich. Markovich painted many Ontario infrastructure projects. Some of her collection is available on Twitter and the rest can be explored online using the Archives of Ontario digital collection. Saturday, December 1, 2012 6:55AM … I boarded the first Burlington bound GO bus in St. Catharines. Early morning pleasantries were exchange with the young driver, a report, who was unfamiliar to me. We left the Fairview Mall stop promptly, as we did every other stop along the way. This driver’s timing was impeccable, like he’d driven the route frequently. He had no CAD/AVL to guide him — only a printed paddle sheet that was folded neatly and hung over the left side of the dashboard. When we exited the QEW at Fairview St., I asked him, tongue in cheek, if he felt honoured being the first bus into the North bus loop at Burlington station. Stopped at the Maple Ave. intersection, he turned, gave me a quizzical look and stated there were no advisories regarding Burlington in GO’s route information system, which he had checked the night before. I told him I thought all Hamilton drivers knew that the South bus loop would be closed from that day to the following summer. That’s when he told me he was from the Oshawa garage. Neither Operations nor the Hamilton supervisor had updated him when he signed on for his shift. I chuckled and then proceeded to navigate him along Brant St., Plains Rd. East, and onto Queensway Dr. Coincidently, that very same day, TCT published a story about passengers assisting drivers. Fast-forward to the present. December 1 marks the fourth anniversary that Burlington GO station officially became a disaster zone (IMO) — a disservice to fare paying passengers and frontline staff alike. Here is the current state of the South bus loop. When will this boondoggle be finished? Here is a link to the construction notice posted earlier this year. You decide. To the young driver I met four years ago — Sir Rodney of Brighton as we dubbed him on Route 12 — I trust all is well with you. It was a privilege to ride your bus that morning, and a couple of times thereafter, too.